The SAT Subject Test in Mathematics, Level 2 helps showcase a student’s comprehension of college preparatory mathematics courses. The SAT Subject Test in Mathematics, Level 2 can assist the student in gaining admission to colleges with courses requiring excellent Mathematics skills, i.e. engineering, actuarial and computer science, physics, or economics. The SAT Subject Test in Mathematics, Level 2 tests the student’s knowledge of Mathematics curricula taught in most high schools. The SAT Subject Test in Mathematics, Level 2 includes many of the same subjects tested in the Level 1 Test (Algebra, Geometry, Data Analysis, and Statistics) but will allow the student to also show proficiency in trigonometry and elementary function. Students taking this Mathematics Test should have already completed 3 to 4 years of high school Mathematics studies, including 2 years of algebra and one year each of geometry, trigonometry, and elementary function, or precalculus. 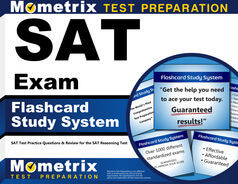 To register online for the SAT Subject Test in Mathematics, Level 2 go online to www.sat.collegeboard.org. The registration fees for the Subject Test are $22 (2010-2011 fees). Students may register for an SAT Subject Test by phone ($15, if the student has already registered for a previous test), register late ($26), request to change a test date, a test, or test site ($25). Scores will be posted online at the student’s secure site and/or are mailed for no fee. The SAT Subject Test in Mathematics, Level 2 can be taken at the same testing center where a student would sit for the SAT Exam. 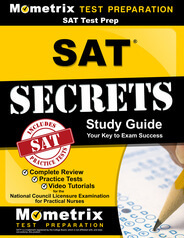 The SAT Subject Test in Mathematics, Level 2 is generally offered in January, May, and June. If the student has registered to take the SAT Subject Test in Mathematics, Level 2, but decides on the day of the test that he or she would prefer to sit for the SAT Subject Test Mathematics Level 1 (or vice versa), this is allowed. The student should confer with his or her high school Mathematics teacher for advice on which test would be more appropriate. Algebra, Geometry, Data Analysis, Statistics, Trigonometry, and Precalculus questions are included in the SAT Subject Test in Mathematics, Level 2. The test is timed, and the student is allowed a maximum amount of 60 minutes to complete the test. The test consists of 50 multiple choice questions, and may include a reference to a geometric figure. Both the SAT Subject Tests in Mathematics Levels 1 and 2 contain a certain amount of overlap in Algebra, Geometry, Statistics, and Basic Trigonometry. In general the Level 2 Test is more advanced than the Level 1 Test, and the student can expect questions on more advanced formulas and functions as well as additional questions in Trigonometry and Precalculus. The SAT Subject Test in Mathematics, Level 2 is divided into four sections. The first section will test the student’s skills with numeric operations and consists of 10% to 14% of the entire test. Questions will center on complex and elementary number theory, counting, matrices, operations, proportion, ratio, series, sequencing, and vectors. Geometry is the subject of the third portion of the test, which is divided into three subsections. The first subsection, coordinates, comprises 10% to 14% of the test and involves, circles, ellipses, hyperbolas, lines, parabolas, polar, transformation, and symmetry. The second subsection of this portion is the smallest section of the test (4% to 6%), and contains questions on 3-dimensional items including solids, surface area, and volume, i.e. cones, cylinders, prisms, pyramids, and spheres) and 3-dimensional coordinates. The third geometry subsection tests the student on trigonometry knowledge, including equations, double angle formulas, identities, law of cosines, radian measure, and right triangles. The last portion, comprising 12% to 14% of the test, asks questions relating to analysis of data, probability, and statistics. Here the student should show expertise with interquartile graphs, ranges, and plots; mean, median, mode, and range; linear, quadratic, exponential regression; standard deviation and probability. When arriving at the testing center, the student must bring an acceptable photo ID, two (2) number 2 pencils, and the printed admission ticket to the SAT Subject Test Mathematics, Level 2. It is recommended that the student also bring a calculator for this test; accepted calculators are graphing and scientific calculators. Students are not allowed to bring to the testing site any computers, laptops, books, notebooks, scratch paper, pens, colored pencils, highlighters, rulers, protractors, compasses, timers, cell phones, PDAs, iPods, BlackBerries, or any digital, electronic equipment or devices, other than the acceptable calculators mentioned previously. A student may want to bring a silent watch to keep track of elapsed time. The student should begin the test by quickly scanning through all multiple choice questions first, answering those that can be easily answered, followed by continuing with the more difficult questions. Read the questions carefully after the first scan before selecting the correct answer. Eliminate answers that are most obviously incorrect, and use the test booklet to mark these incorrect answers for reference. Check off on the test booklet those questions and/or sections that have already been completed. The student should not take too much time on any one section or question but continue to work steadily, moving on to the next question before too much time has elapsed, particularly if the answer is not known. Take a guess! And then go to the next question.